Hippizzazz is a family and locally owned pizza restaurant featuring organic, fresh ingredients and innovative recipes. We are located at 280 South Main Street in Sebastopol. Hippizzazz is open late and features local beer and wine to pair perfectly with your meal. Deep dish, gluten free, vegan, hand-tossed, and thin crust pizzas are all available. Our pizza crusts are made from organic flour daily. All of our menu items are gourmet and made in-house. We also feature appetizers, calzones, salads, fresh breads, appetizers and desserts. Your meal is available for take-out or dine in. We have indoor and outdoor dining with table-side service. We hope to offer delivery and draft beer soon! 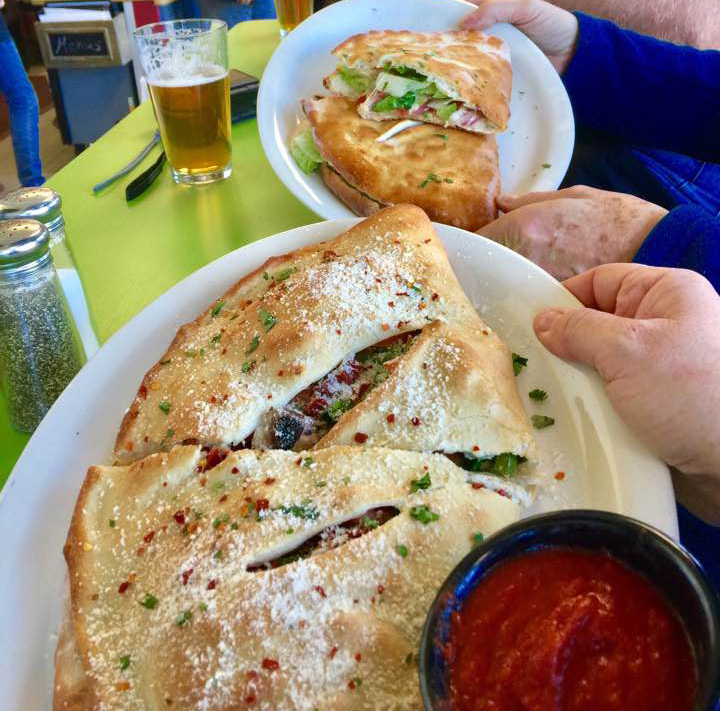 Hippizzazz serves Calzones with delicious marinara sauce!